How do you know which Genie Client you have? The receiver on the top is a C31. The one on the bottom is a C41. C31 clients are actually pretty rare, having only been available for a few months. 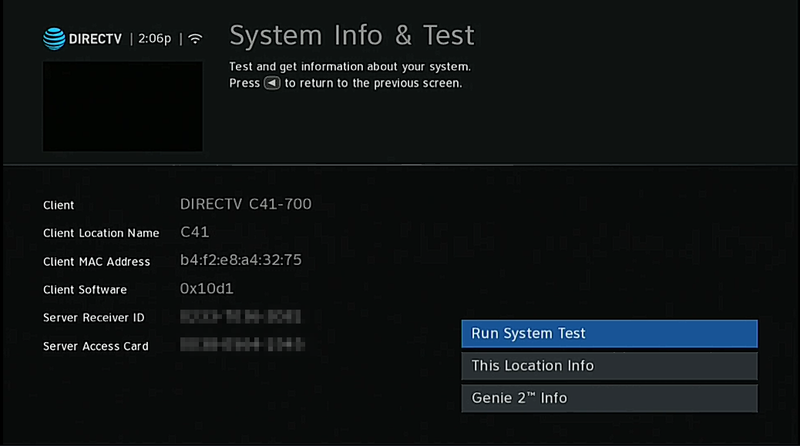 The C41 replaced it and added support for DIRECTV’s then new RC71 remote (and nothing else.) And then there’s the C51 and C61, not shown above. They all look so close! So how can you tell the difference? The C51 looks identical to the C41. There’s practically no difference inside, other than it being a different production run. The C61 brings the new AT&T globe logo, so at least you get that. 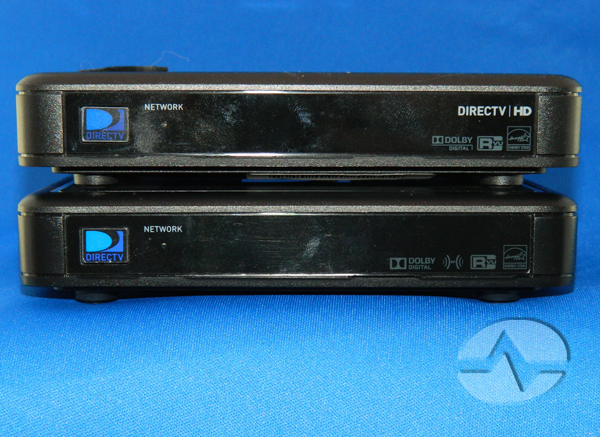 Then there are the C61K 4K client and the wireless client, but those are different in size from the other clients so it’s pretty easy to know which is which. The first question, of course, is why you would care which one you have. For the most part, they are identical. However, if you have the C31, you’ll want the older-style remote to control it in RF mode. All the other clients use the Genie remote. Both new and old remotes will control either client in IR mode, but if you plan on hiding the client behind a TV you’ll need the right RF remote. The absolute easiest way to know what you have is to look for a green sticker on the client. It’s usually on the underside. That will give the model number as well as a manufacturer code (-100, -300, -500, -700.) This article will show you how to decode that part. Right there you’ll see the model number. This particular one is a C41-700, meaning that it was made by Pace several years ago. Most of them are made by Technicolor now, actually. When you’re done reading the information, press the EXIT button on the remote to go back to live TV. Should you upgrade an old client? Essentially, if you have a Genie Mini Client, there’s no reason to upgrade to a newer one. They are extremely simple technology and all work exactly the same. Until recently, I told people that it was a mistake to upgrade to a C61K 4k client unless you had a 4K TV. In the past they used to give really persistent and naggy messages about how the TV wasn’t compatible with 4K service. Those messages have calmed down a lot and it might be worth upgrading. The C61K is a little faster, although it is also bigger and uses more energy. If you’re trying to get more speed overall, though, you might want to simply upgrade to a Genie 2. This is the latest and greatest and personally I have found it to be the fastest as well. If you’re interested in seeing if you qualify for a reduced-cost or no-cost upgrade, give the folks at Solid Signal a call at 877.312.4547 and they can do a no-obligation analysis for you.